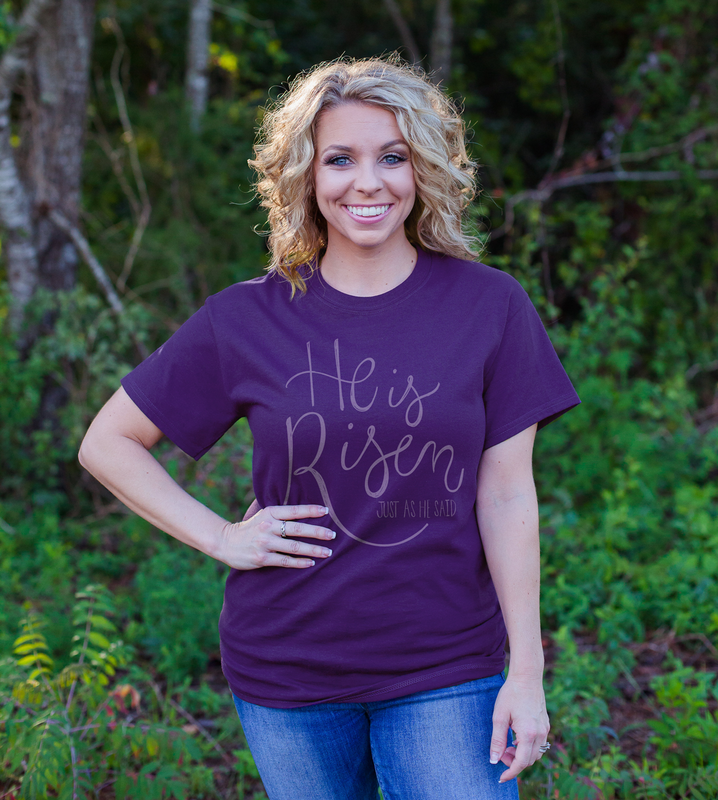 This Because Of Grace® design is printed on a super soft Purple Rush Next Level cotton-poly blend t-shirt and features the verse, "He is risen, just as he said," on the front of the shirt. 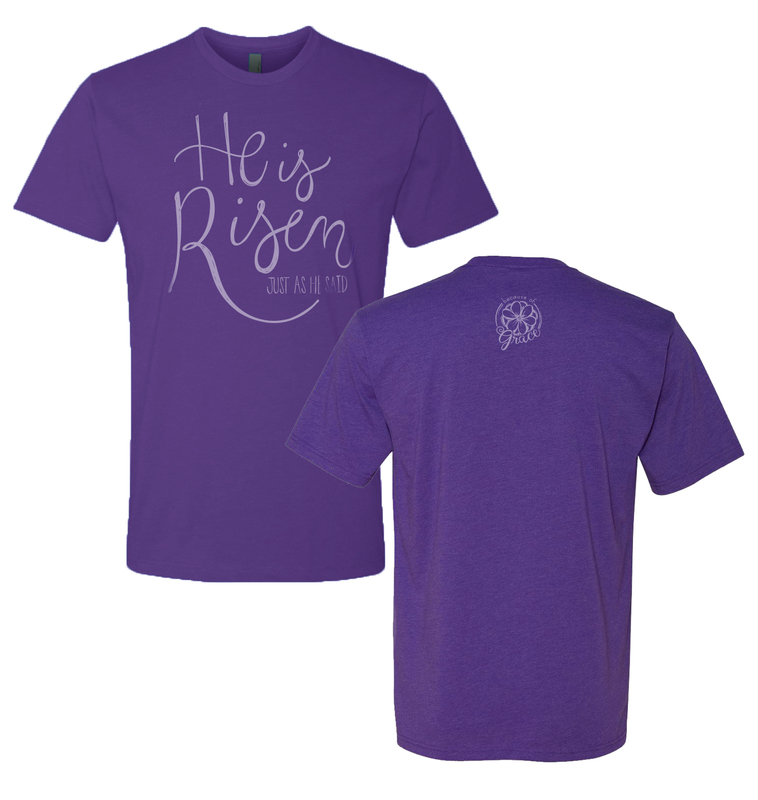 The Because Of Grace® logo is printed on the back. 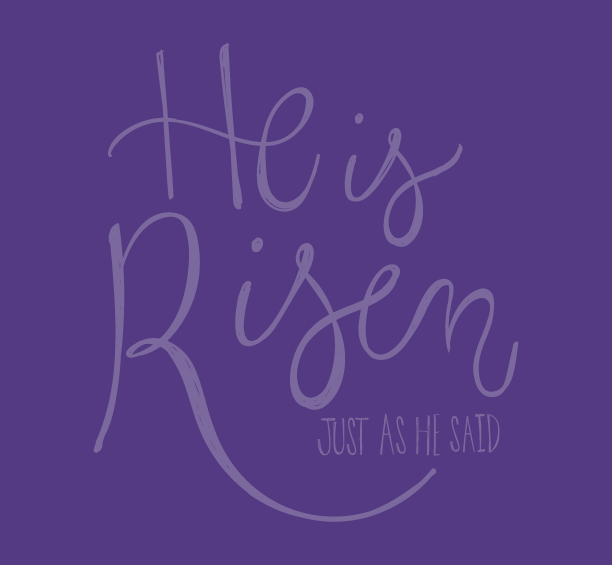 This Limited Edition design is perfect for Easter!